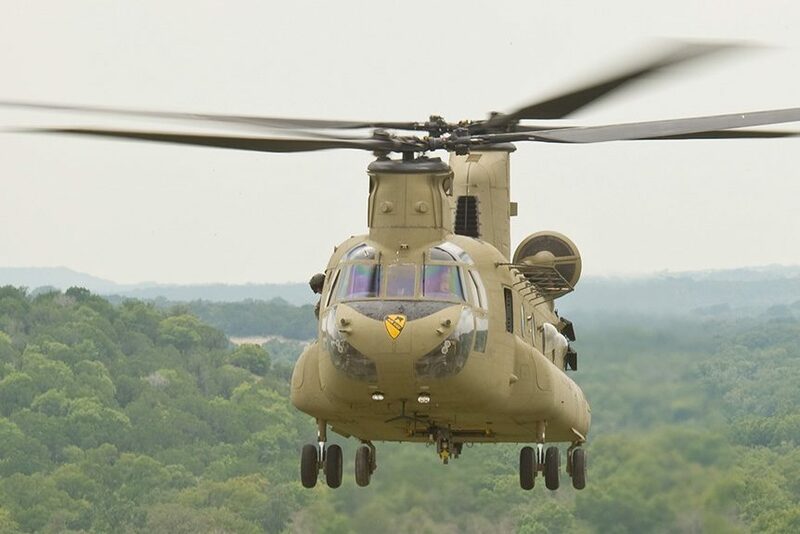 Only two years ago, the military talked about improving the longtime war veteran helicopter, the CH-47F Chinook. Now, there have been talks about discontinuing the Chinook due to budget cuts. Reportedly, the army is behind budget annually by an amount of $2-3 billion. Because of this, it means not all of the programs can be used and cuts have to be made. One such possible cut is the Chinook. Originally, the army was going to upgrade the CH-47F (also known as the Chinook). A program called the “Chinook Block II” was supposed to reboot the Chinook by adding a new fuel system, using new rotor blades, and helping the helicopter’s airframe. The result would have been a Chinook that could carry more, travel a farther distance, and be safer in hotter altitudes and in dusty conditions. However, there is not really any plans for the army to have a newer generation of heavy-lifting helicopters. The Big Six programs include advances in missile defense and long-range missile capabilities in the upcoming years. The CH-47F Chinook has a long history of supporting military operations, especially transporting troops and equipment. While the amount of troops one of these helicopters can transport at once varies (it varies on the amount of equipment each troop has with), it is estimated to carry around 33 troops to upwards of 50 troops. If the Chinook helicopters are not upgraded, it could lead to future costs for the military to maintain these helicopters. The top six efforts for modernization by the army include: long-range firing capabilities, a next generation of combat vehicles, control networks, soldier lethality, missile defense, and helicopter lifts. These six components are said to be a tactical move in the case of conflicts. The wars fought in the Middle East and in Afghanistan are the culprit for the military’s budget problems. The Chinook dates back to September 21, 1961. A grand total of roughly 1,200 are in operation throughout the world. Each one costs roughly $38.5 million. Constant upgrades have helped the Chinook stick around for as long as it has been around. Among improvements in the helicopter include engine upgrades, as well as the improvement of the rotor blades, cockpit, and electronics. FairLifts has a many heavy-lifting helicopters in our network, including the Chinook.